Posted byMartien van Steenbergen	 11 August 2013 20 November 2017 1 Comment on A Flaw in the Monetary System? 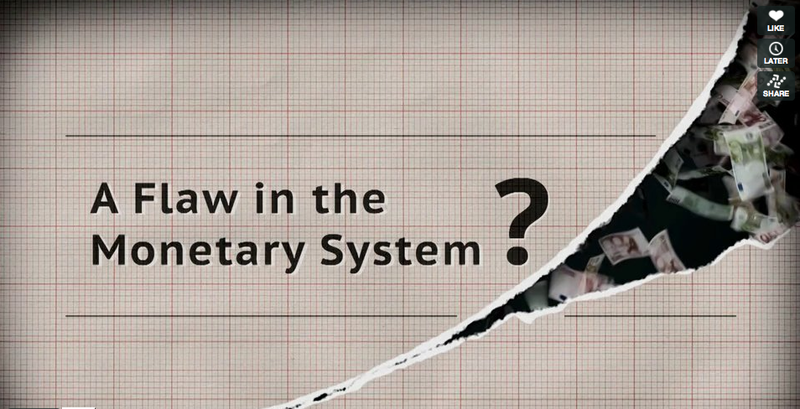 Excellent 7 minute video of how we fool ourselves with our current monetary system. Still, the majority of people do not fully understand this. On the outlook for the sequel on this video, covering a mutual credit system and ‘flow money’ (demurrage, or negative interest) and a dynamic trustspace. Helder filmpje! Maar…. wat te doen?